JSE Combined Index – 5.0m shares / $66.4m traded. (22 Advanced / 26 Declined / 11 Firm) . Ordinary Shares – Main Market – 4,133,677 shares, 34 stocks traded, 14 not traded. 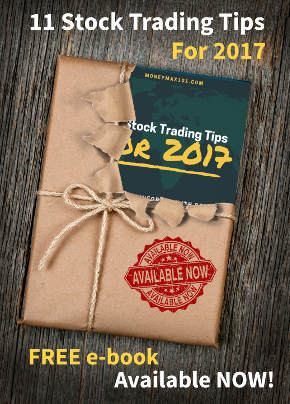 Ordinary Shares – Junior Market – 528,746 shares, 23 stocks traded, 11 not traded. Preference Shares – Main Market – 415,846 shares, 16 stocks traded, 18 not traded. 138 Student Living Jamaica Limited (138SL) shares advanced 29.44% or +0.68 to close at J$2.99 with 100 shares traded. Knutsford Express Services Ltd (KEX) shares advanced 10.82% or +1.24 to close at J$12.70 with 15,039 shares traded. Main Event Entertainment Group Ltd (MEEG) traded between -1.42% and 22.56% above yesterday’s closing price of J$5.63 ( from J$5.55 to J$6.90) . It closed at J$5.55. AMG Packaging & Paper Company Ltd (AMG) traded between -1.23% and 9.05% above yesterday’s closing price of J$2.43 ( from J$2.40 to J$2.65) . It closed at J$2.47. Scotia Group Jamaica (SGJ) traded between 1.53% and 7.90% above yesterday’s closing price of J$50.23 ( from J$51.00 to J$54.20) . It closed at J$51.55. Lasco Financial Services Ltd (LASF) traded between -8.70% and 7.61% above yesterday’s closing price of J$4.60 ( from J$4.20 to J$4.95) . It closed at J$4.51. Sterling Investments Ltd (SIL) traded at 4.68% above yesterday’s closing price of J$4.06. It closed at J$4.25. Lasco Financial Services Ltd (LASF) traded between 7.61% and -8.70% below yesterday’s closing price of J$4.60 (from J$4.20 to J$4.95) . It closed at J$4.51. Sygnus Credit Investments Limited JMD Ordinary Shares (SCIJMD) traded between -1.19% and -6.30% below yesterday’s closing price of J$11.74 (from J$11.00 to J$11.60) . It closed at J$11.53. Pulse Investments (PULS) traded as low as -6.25% below yesterday’s closing price of J$3.20 (between J$3.00 and J$3.20) . It closed at J$3.18. Berger Paints Ltd (BRG) traded as low as -4.76% below yesterday’s closing price of J$21.00 (between J$20.00 and J$21.00) . It closed at J$20.86. 1834 Investments Limited (1834) traded as low as -4.55% below yesterday’s closing price of J$1.10 (between J$1.05 and J$1.10) . It closed at J$1.08.